Kent Valley Ice Centre, Kent, WA., Thursday, September 27, 2018 – The Metropolitan Hockey League is working diligently to complete scheduling of league games for the 2018-19 hockey season. KVHA members should expect to be able to view schedules on the MHL web site early next week. Be sure to select 2018-2019 MHL Season from the drop-down menu. Andy Cole will serve as the Metropolitan Hockey League (MHL) Commissioner for the 2018-2019 season. Andy is the Founder and President of the Greater Seattle Hockey League (GSHL) and serves as the GSHL’s League Manager. Cole brings a ton of league management experience to the MHL. Since the summer of 2001, the Greater Seattle Hockey League has grown into the largest adult recreational ice hockey league in the Northwest. With nearly 100 teams, over 1,700 registered players and continuously growing, the GSHL is also one of the largest adult ice hockey leagues in the country. Castle Ice Arena, Renton, WA. September 22 & 23, 2018 – Kent Valley’s 12U Selects had their first outings of the season last weekend as they challenged two of SnoKing’s 12U A3 teams. The Selects came out on the losing end of both games as they fell 3 to 1 to SnoKing’s 12U Chakrabarti on Saturday and 5 to 3 to SnoKing’s 12U White on Sunday. Saturday’s game was a shooting gallery as SnoKing fired 53 shots at Kent Valley’s goaltender Jr. Peebles. Peebles turned away 50 of the 53 shots to earn an impressive save percentage of 94.3%. Bradyn Lee scored the Selects’ lone goal. Sunday’s game was a more balanced but higher scoring game. SnoKing White outshot the Kent Valley Selects 37 to 29 and outscored them 5 to 3. Kent Valley’s goals were scored by Jeffrey Hershberger, Alex Ostrovskyy and Will Sumner. Ostrovskyy figured in all three Kent Valley goals scoring one and assisting the other two. During the holidays, many of us sit down to share a warm Thanksgiving meal with our families and friends while hundreds of families in our community stand in lines in the hopes of getting food from the Kent Food Bank. Bundled up against the cold and waiting for the doors to open, these families are filled with an optimism that they will be able to give thanks with their loved ones and not have to go hungry for Thanksgiving and the Christmas season. 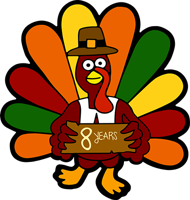 In order to give them a memorable Thanksgiving and holiday season, the community can join together for the 8th Annual Kent Turkey Challenge and help out our neighbors with a goal of raising $25,000 and 10,000 pounds of food. In 2011, the Kent Food Bank lost a large portion of their funding during Thanksgiving, leaving many people scrambling to find ways to feed their families. This deeply impacted the community and Torklift Central responded by organizing the first ever Kent Turkey Challenge. Over the past seven years, donations to the Kent Food Bank from the Annual Kent Turkey Challenge total more than $140,893 and 45,060 pounds of food, feeding thousands of people that would otherwise go without a Thanksgiving meal. Last year, the turkey challenge raised so much money that the food bank was also able to purchase turkeys and chickens, as well as real butter, fresh celery and fresh sweet potatoes.